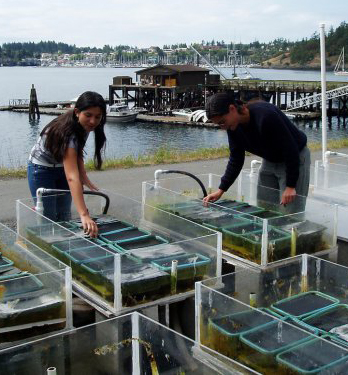 We invite you to consider proposing a summer course in 2018, or a spring or autumn quarter Research Apprenticeship Team at Friday Harbor Laboratories. In May 2017, the FHL Advisory Committee will review proposals for FHL courses and research teams for Spring, Summer, and Autumn Quarters in 2018. The application deadline is April 30, 2017. The application process is uncomplicated and is explained at the links below. Of particular interest, to promote diversity at FHL, we extend an invitation for a temporary faculty appointment of two or three months here at FHL with support from a generous donation from the Andrew W. Mellon Foundation. Click here for more information.